The writing in this show is pure genius with a mixture of science fiction and science fact... I mean historical facts (although I guess that can count as a form of science fact but that might be streching it). The stories are also far from being serious with hilarious and exaggerated ways of how those people became famous while still being educational at the same time. Speaking of educational, I like how this show is educational without being boring and preachy as it is all fun and being fun is the best way to learn about something as being dull and preachy just makes me want to ignore you (well maybe not as harsh as that but still, fun is an important element to education). Some of the humor in this show will be considered politically incorrect but it is also far from being offensive so you have nothing to worry about. Characters in this show are very charming and cute to where you'll fall in love with them instantly. I do quite love how much character are in the characters as they are all fun of life and really put you in a great mood. This show also contains one of my all-time favorite pilot episodes ("Benjamin Franklin" is the episode title) ranking up with other shows that have brilliant pilots just like: "Cowboy Bebop (1998)", "Astro Boy (1980 version)", and "Sliders (1995)" (I should make that a list one day). 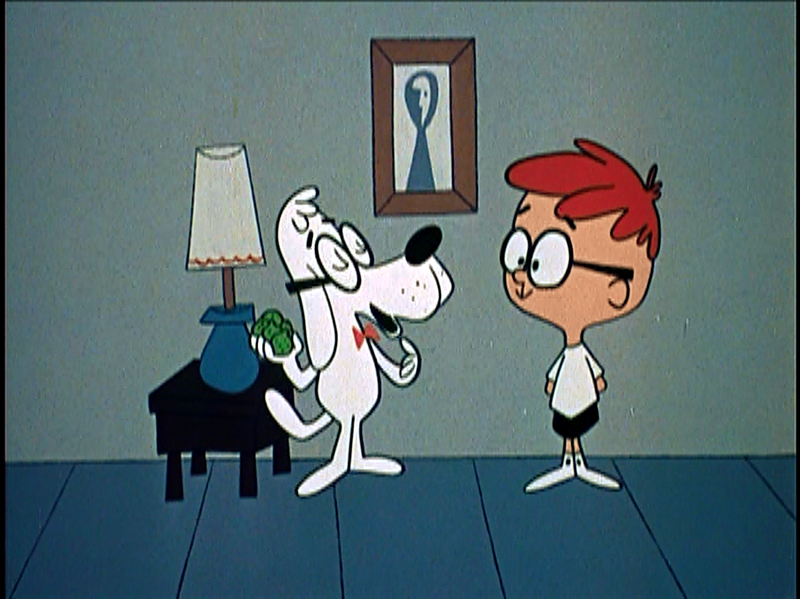 In this episode we are told the story of how Mr. Peabody came to adopt Sherman as his very own son and it is quite a touching story that is brilliantly told. I have found myself watching this episode numerous of times and is an episode you must see. 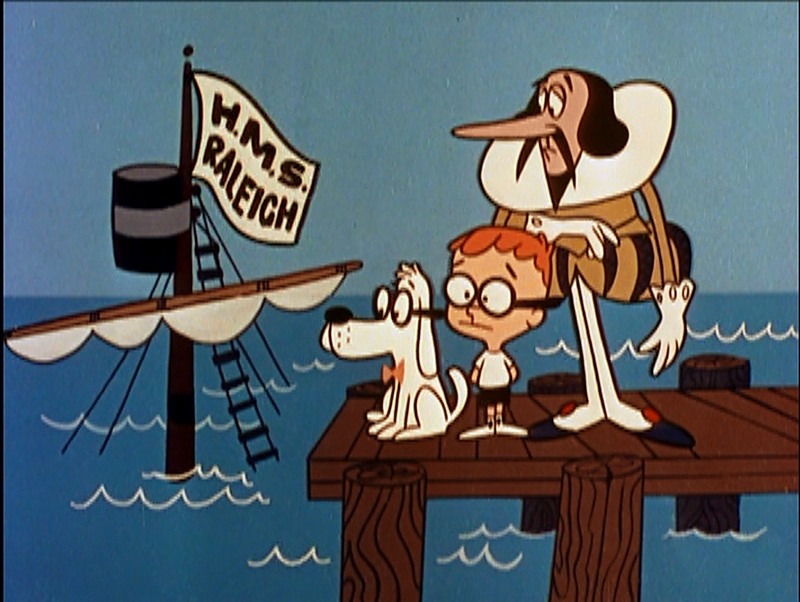 Artwork in this show has aged a lot which is to be expected as this show did start airing in the late 1950's. 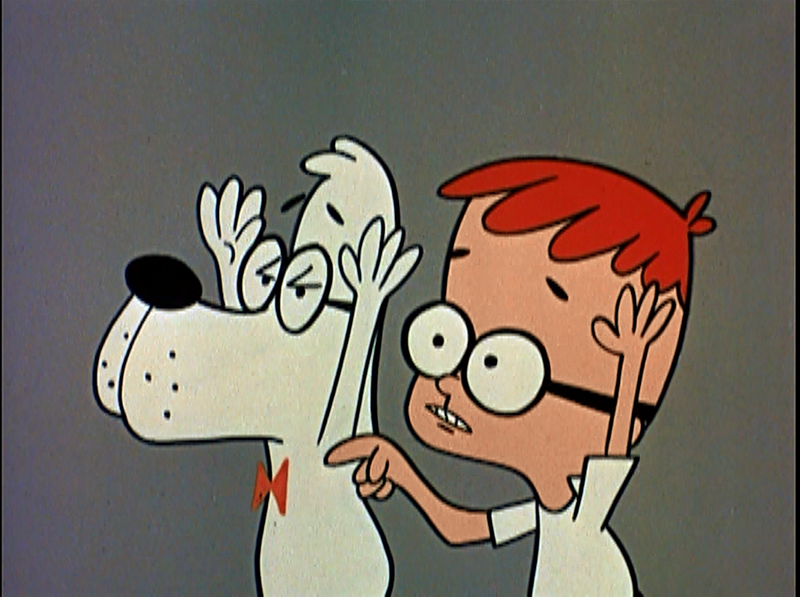 The character designs have a blobby look to them that is very charming and classic. You will spot a bunch of artwork mistakes like sketch lines that the artists forgot to erase, objects disappearing and re-appearing, and an acting mistake like how some characters have the wrong voice during some quick parts. I'm guessing the art is like that due to having to do this show on a tight schedule and had to rush some scenes along but that's just speculation. Animation in some spots also looked rushed although there were some nicely animated scenes. You won't find yourself hating the artwork as the charming writing of the show will make you forget all about the mistakes very quickly. Voice acting in this show is pure brilliance with voices that work well with every single character and I also love how they use emotions in this show as they are used in a very natural and sincere way. There isn't much of a soundtrack in this show with the only song being the one played during the credits. That one song was also a very charming tune that is very catchy and will put a huge smile on your face (it can even make a depressed goth guy smile). Overall if you own all of the "Rocky and Bullwinkle and Friends (1959 - 1964)" box sets then you might want to skip over this set as all of the episodes in this set can be found in all of those box sets. Does that mean that this collection should be automatically avoided? No as this is quite an impressive box set and if you do not own or attend to own the Rocky and Bullwinkle sets this is the set for you. 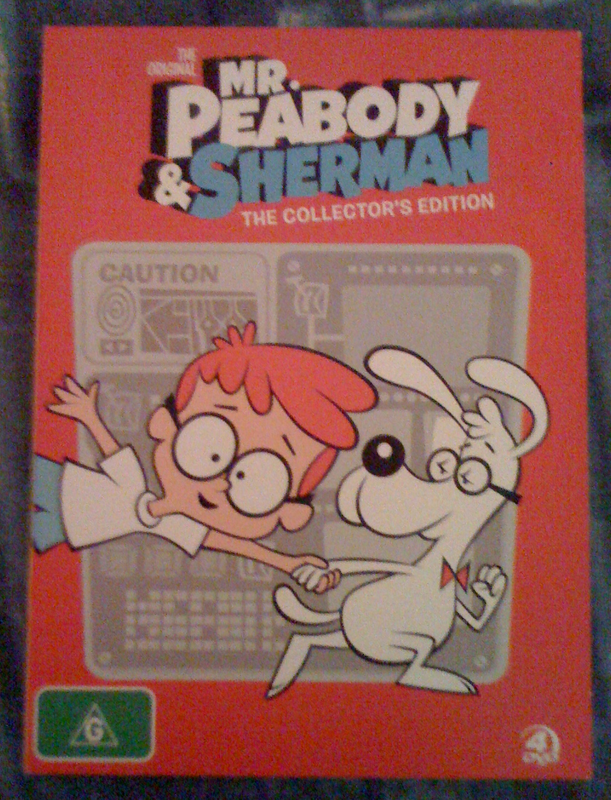 This is also a really great set to buy for the kids (or yourself) if you want something that is both cheap and incredibly entertaining (and not to mention it has huge number of episodes) to plop on the TV to calm them down. In the end I really enjoyed this set and I do recommend it as a whole but keep what I said in mind. Classic viewing.